Let me make a confession – I am addicted to Anthropologie. No, they didn’t pay me to put their name all over the place. But let me tell you one thing: If I was walking down the street and found a thousand dollars lying there on the ground I would (try to find the owner first, but quickly give up), go get a big coffee and a donut, and GO TO ANTHRO. If I could live inside an Anthropologie I would. If I see an Anthropolgie, I go in. I quickly regret the decision to look, however, because everthing is WICKED expensive. Not like Sacks 5th Avenue expensive, but they ask way more for a candle than I am comfortable spending. They smell like magic in a jar, so I consider it, but I always pass. Which brings me to this roundup! We all know I LOVE to crochet — almost more than I love Anthropologie. But it’s a tough choice. I’m confident you can get the bohemian, french country, girly look with crochet and avoid spending a million dollars in a store! Of course handmade is cherished by all and so much more desirable than anything you could buy in a store. But if we are honest with ourselves, we all go in stores like Anthro and drool over everything. So here are my picks for some accessories and home goods to get that Anthro feel for way way less! 1. This ultra-feminine bookmark totally feels Anthro inspired! 2. I’ve seen these letter pillows at Anthropologie for over $50 each – nope! Make one yourself with about $5 of yarn – and in any color you want! 3. These lavender sachets for the dryer are sooo Anthro – I can imagine them selling these lovely little handmade sachets for unbelievable prices. They’re super easy and fun to make! 4. 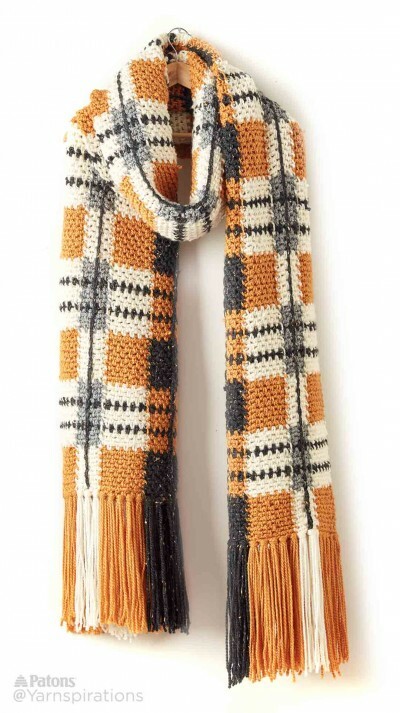 This Big Tartan Scarf is so stylish for fall, it looks like it belongs in a street window in Manhattan. Or at Anthropologie. 8. Baskets are the name of the game – use them for the kids toys, blankets, knick knacks, or (heck) potatoes! 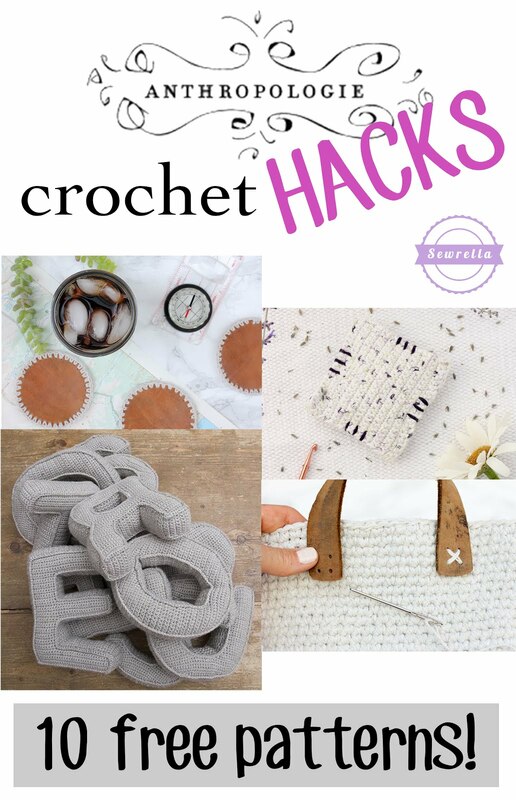 Make these adorable crochet baskets with dollar store materials! 9. Speaking of leather, I love working with this stuff. (I’ve had many failed attempts but) these cute crochet leather coasters are too adorable not to try. And image them with some girly pink glassware! 10. For those of you looking for a little whimsical-Anthropologie look, or a fun modern design for kids, this pillow is for you! Or follow the basic pillow pattern and add any cross stitch design you like! I hope you all find some Anthropologie style for your home or your closet – on a budget! I was trying to find your article on how to make money crocheting 3 easy steps. Clear as mud. Never found it?? ?